The priority deadline to submit an application is December 1st. Students who apply by the priority deadline will be given the highest priority for admissions and consideration for scholarships and assistantships. This is the recommended deadline for applicants. Since it does take some time for SOPHAS applications to process, we would recommend submitting it in early November. That will also be helpful to avoid any technical difficulties and to allow time for SOPHAS processing. The secondary deadline to submit an application is March 1st. After the priority deadline review period, in the event that these programs are not full, applications will be accepted until March 1st for only select programs. See our How to Apply page to see which programs qualify for the secondary application. Will I be penalized for submitting my application on December 1st? No, you will not be penalized for submitting your application on December 1st. However, we highly recommend you to submit it earlier than the deadline to avoid any technical difficulties and to allow you to correct any errors found by SOPHAS (e.g. transcript discrepancies) before our first batch of applications are released for review. How do you recommend I best prepare for my application? We would recommend you start your application very early and thoroughly research the requirements for your area of concentration. Make a checklist of all of the general admissions requirements as well as the requirements indicated by your area of concentration, if any. Here is the link to the different area of concentrations. Do I have to submit both the SOPHAS and UC Berkeley Graduate Division applications? If you are a MCP/MPH, MJ/MPH, or a MPP/MPH applicant, yes, you will have to submit both a SOPHAS and UC Berkeley Graduate Division application. If you are a MBA/MPH or a MSW/MPH applicant, you do not have to submit a SOPHAS application. Only the application for Haas School of Business or the Graduate Division application for the MSW/MPH program. See the Application Instructions at the bottom of our How to Apply page for details. Do you accept applicants on a rolling basis? For the on-campus graduate program, we only accept applicants for the fall but have two deadlines. After our priority deadline (December 1st) review, in the event that some of our programs are not full, applications for only those select programs will be accepted until March 1st. See our How to Apply page to see which programs qualify for the secondary application. For the On-Campus/Online MPH (OOMPH) program, applicants may apply at various times throughout the year. Visit their application information page for dates and deadlines. I’m applying to more than one school in SOPHAS and they have different deadlines. How do I submit my application? Enter only the school(s) with the earliest deadline, and then complete and submit the application. To apply to additional schools, you may add another school designation to your existing application and fill out the “program materials” section for that specific program. If you are having problems, please contact SOPHAS customer support directly: sophasinfo@liaisoncas.com, 617-612-2090. I won’t be able to get my last letter of recommendation nor my official GRE scores in by the application deadline but I am finished with the rest of my application. What should I do? If you have completed the application but only waiting on a couple of supplemental materials, (e.g. letters of recommendation, GRE scores, transcripts, etc. ), you can still submit your application and should do so by the application deadline. It is acceptable for supplemental materials to trickle into your application a few days after the deadline as long as you’ve met the application submission deadline. There is a small grace period that we allow for supplemental materials to come in. However, if you do not submit by the application deadline, your application will be considered late and ineligible for review. I submitted my application by the deadline but recently received a notice from SOPHAS indicating that my application is “undelivered” and that I need to take action and “resubmit” my application. Will that impact my application submission date? No, as long as you originally submitted your application by the deadline, your application will still be eligible for review. When your application is “undelivered”, that means that the SOPHAS verification team noticed some errors in the self-reported course entry portion of your application and/or other parts of your application that need you to fix. Address those issues and resubmit to them ASAP so they can complete the verification. All you’ll have to do is make sure you follow their instructions and complete all requested tasks in a very timely manner and “resubmit” it to SOPHAS. This will not change your original submission date. Does my application have to be verified by the application deadline? No. As long as you’ve submitted your application by the deadline, it’s OK if it’s in queue for verification and gets verified shortly after the deadline. Just be sure to regularly check your application to ensure all of your supplemental materials have arrived, and if not, follow up to make sure they arrive in a timely manner so it does not impact your verification period. It is your responsibility to ensure your application is complete and ready for review. See the Application Requirements page for a list of all the application requirements. Can I apply to a 1-year program right after I finish my undergraduate degree? We offer academic (MA, MS) degrees, professional (MPH) degrees, doctoral (DrPH, PhD) degrees and a joint medical degree (MS/MD) through our Joint Medical Program with UCSF. These are our areas of concentration offered at our school: Biostatistics, Environmental Health Sciences, Epidemiology, Epidemiology/Biostatistics, Global Health & Environment, Health & Social Behavior, Health Policy & Management, Health Policy, Infectious Diseases, Interdisciplinary, Maternal & Child Health, and Public Health Nutrition. 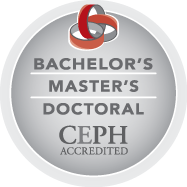 We also offer an Online/On-Campus MPH degree program with concentrations in Interdisciplinary, Health Policy & Management, and Global Health. Please visit our website to find more information about the different academic programs we offer: http://sph.berkeley.edu/graduate-degrees/areas-study. Do I have to choose an area of concentration to apply to? Yes, you are required to choose one area of concentration to apply to when submitting an application. What is a specialty and how is it different from your other programs? In addition to our various programs, we offer you the option to take on a specialty. These are very similar to a minor and a series of courses taken in addition to the required courses for your program. For example, you can be in the Maternal and Child Health MPH program and have a specialty in Nutrition. What types of careers can I go into with a degree in public health? Who can I contact for more information about career opportunities in public health? What kind of placement assistance do you offer students in securing 12+ week summer internship/fieldwork required to complete the program? Our Center for Public Health Practice & Leadership (CPHPL) has a variety of resources specifically for the purpose of helping students identify and apply for worthwhile Public Health internships. There is a professional workshop series each semester that assists with this as well. The CPHPL also assists in securing living stipends from various arenas if the internship site cannot pay a living stipend. Are all classes in the first semester lecture style or seminar style? How big are the classes? In your first semester, almost all of your courses are lecture style. Once you get to your 2nd semester, class sizes are reduced to 15-40 students in a class and you have more opportunity to interact with faculty in a more intimate setting than a lecture hall. What types of financial aid is available? What is the estimated cost of tuition? Please visit the financial aid office for more information on cost of tuition: http://registrar.berkeley.edu/feesched.html. I have an MBBS from an international institution. Do I have to take the GREs? I took the GREs in 2007. Will I have to take the GREs again? Yes, you will have to retake the GREs. We accept GREs within 5 years of the time you wish to apply. See our website for more details: http://sph.berkeley.edu/requirements. What is your minimum GRE score requirement? Is there anywhere on the website where I can find more information about GSR/GSI positions? Unfortunately, there is not one single resource that lists all of the Graduate Student Researcher positions available. Some departments will list GSR openings on their websites and/or advertise them via email. More commonly, students must ask faculty they would like to work with if they have a GSR position available. Getting to know faculty and their research is strongly recommended for obtaining any of these types of positions. What kind of GSI/GSR positions can I have in my first year? Should I work as a GSI/GSR my first year? It is recommended that incoming students do not undertake Graduate Research or Instructor positions in their first semester, but if you would still like to search for positions, you should identify faculty who you'd like to work with and inquire with them about availability. I would also recommend you to contact our GRADS advisors (sphgrads@berkeley.edu) and one of them will be able to give you advice about pursuing GSI/GSR positions and when the best time is to take on these kinds of positions. How would you describe an ideal candidate for a GSI position? GSI hirings are often in the hands of the faculty who are offering the positions. Candidates must have prior coursework experience in the specific course that the GSI hiring is for. You'll need to get in touch with the faculty of the department you want to work in to find GSI positions. GSI hiring is conducted the academic semester prior to the one that you are applying for. I am from __(country name)__, am I still required to take the TOEFL? I’ve taken the USMLE, do I still need to submit the TOEFL? Yes. The USMLE and other such exams are not approved substitute for the TOEFL. I was born and raised in the US and am a citizen of the US but completed my studies in another country. Do I still have to take the TOEFL? Yes, the TOEFL requirement is not based on citizenship but instead based on country of education. If the official language of your country of education is not English, you will be required to take the TOEFL. If you would like to see if your country of education qualifies you for a TOEFL exemption, please email sphadmit@berkeley.edu. I completed my studies in another country. Am I required to submit the WES evaluation for my foreign transcripts? Yes, for the on-campus graduate programs, we require you to have an official WES evaluation for all of your foreign transcripts. We require the course-by-course evaluation and it should be sent directly to your SOPHAS application, not to UC Berkeley School of Public Health. Please see the Transcript section of our Application Requirements page for more information. Who should I ask for letters of recommendations from? Typically, we recommend you have at least one from an academic and two from your professional experience. However, please thoroughly look at the requirements and qualifications of the area of concentration you plan to apply to for more guidance. Overall, it will be in your best interest to have 3 letter writers who will best be able to attest to your academic and professional ability in a public health career. Would a professor with a higher academic status be preferred over one with a lower status? We recommend you ask letter writers who you think will be able to write you the strongest letter. A strong quality letter attesting to your ability to succeed in the program will weigh more than a generic letter from a high-ranking professor. How many years of work experience are required to apply? How would you recommend I prepare my Statement of Purpose? Your Statement of Purpose should explain what has brought you to pursue graduate training in Public Health. It should also explain your eventual career goals and why you need a degree in your specific program. It may also explain why you are pursuing this degree now, and why at Berkeley. Please be sure to check your program’s page, as some programs have specific prompts they like you to follow. If a prompt is not listed, please follow these general guidelines. How would you recommend I prepare my Personal History Statement? Not all schools and programs of public health will require a Personal History Statement but UC Berkeley does. Your Personal History Statement gives you an opportunity to add some individuality and depth to the information provided in your Statement of Purpose. Your Personal History Statement can include information about who you are as a person, your family background, cultural background, socioeconomic status, educational advantages, and/or experiences growing up. It is intended to give you the opportunity to provide a narrative about your diverse lived-experiences. With that said, it is important to be concise and impactful by focusing on a specific part of your narrative. What makes Berkeley SPH different than other schools? UC Berkeley School of Public Health is unique to other programs with our emphasis in public health practice, diversity, social justice, leadership, innovation, academic rigor, and our student-to-faculty ratio. The location of where you attend graduate school is extremely relevant to the job opportunities that you would like to have when you graduate. 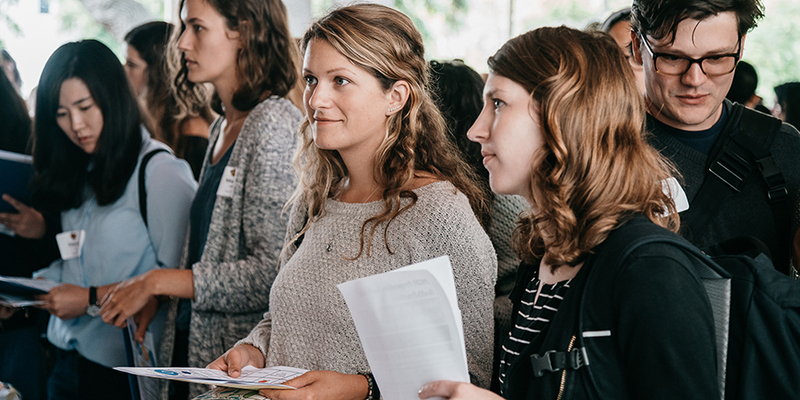 Our school has developed hundreds of professional partnerships and relations to the health organizations, agencies and companies in the Bay Area, around the U.S. and the globe and would be a great place for you to build your community. Additionally, we truly value our students and are proud of the high-touch advising and personalized attention we offer to our students. Do you have any resources specific to your school that sets you apart from other schools? We have two particular offices at our school dedicated to helping students succeed. Our DREAM office is dedicated to increasing the diversity of our public health workforce by encouraging those from historically underrepresented background to pursue graduate degrees in the health profession. They offer many impactful services to help with recruitment and retention of our diverse student body, which includes a summer pre-matriculation program to help students transition successfully into graduate school. We also have the CPHPL office committed to helping our students find meaningful internships as well as gain practical, professional, and leadership skills.